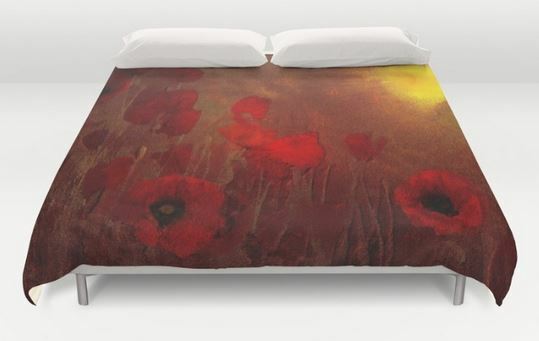 Buy ultra soft microfiber Duvet Covers featuring FLOWERS – Poppy heaven by Val Kelly. Hand sewn and meticulously crafted, these lightweight Duvet Cover vividly feature your favorite designs with a soft white reverse side. This entry was posted in Art, fabric designs, Floral, painting, Shops - (Stores), soft furnishings, sold, Stores, valzart and tagged floral art, home furnishings, painting, poppies, red, SOLD, textiles, valzart by valzart. Bookmark the permalink.